If you are building a shed, a garage, or even a house, you are going to need plenty of plywood gussets for the trusses. Keep in mind that roof trusses must be strong enough to handle dead loads and live loads, and properly configured gussets are the key to sturdy trusses. In this article, we’ll tell you how to go about cutting plywood gussets for trusses that will support your roof for years to come. Stout plywood gussets are an excellent alternative to expensive metal gusset plates. Luckily, cutting plywood gussets for roof trusses is simple. The first step is to choose plans for a truss system that is the right size for the building, and suitable for the loads the roof will be expected to support. If in doubt, choose a truss design that is stronger than you think you’ll need. The type and thickness of plywood required will vary depending on the size of the structure and the truss design. Don’t skimp! Remember that the plywood you choose will be holding your roof together when it is under strain. The following list of materials and supplies is a basic one. Modify it by making additions and subtractions to suit your project’s needs. 1. On a piece of plywood, measure and outline a single gusset plate according to the plans you are following. This will be your template. 2. With the skill saw, carefully cut the template. 3. Most trusses call for a few different shaped gussets. Repeat step one and two for each gusset shape you will be cutting. Remember that you will need two complete sets of gussets for each truss you build. 4. On a flat, level surface such as a concrete pad, lay out lumber for a single truss, ensuring it follows the design plan exactly. Lay your gusset templates out on the truss to be sure that they are a perfect fit. If not, make necessary adjustments and double check to ensure proper fit. 5. 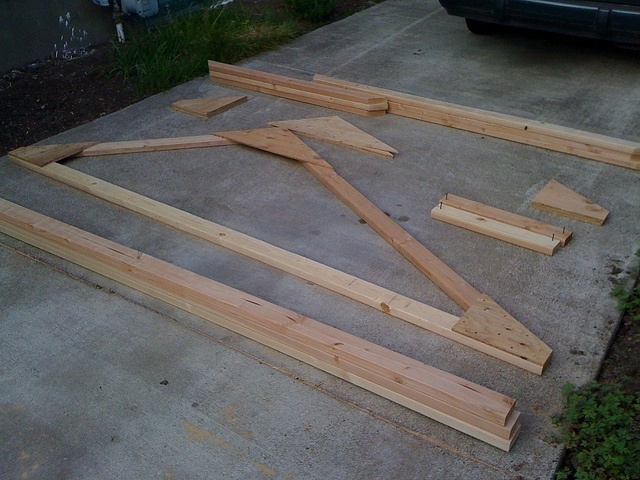 Leave the lumber for the truss configured while cutting gussets, if possible. This will save you a little time later in the process. 6. Lay out a sheet of plywood. Lay your gusset templates out on the plywood and configure them to ensure minimal waste. Carefully draw each outline, then use the skill saw to cut as many plywood gussets as you need for your project. Keep the gussets organized by type to avoid confusion later. If it’s going to be a while before you can finish making the trusses, consider labeling the gussets. 7. Mark each gusset for pre-drilling. Be sure to follow the pattern and spacing recommended on the plans you are following. 8. Pre-drill the gussets so you can quickly and easily attach them to the trusses. Be sure to pre-drill with a bit in a smaller size than the nails or screws you’ll be using to build your trusses. 9. Come back to the truss pattern you laid out, bringing a set of gussets with you. 10. To fasten a gusset to a truss, start by applying a layer of construction glue to the joint you are working on. There are several brands available. Follow the manufacturer’s instructions for glue application. 11. After gluing each gussets onto the truss, drill it into place or fasten it to the truss with a nail gun. This will be fast and easy since you’ve pre-drilled all the holes. 12. When you’ve installed all the gussets to the first side, turn the truss over, then attach gussets to the other side of the joints. Be sure to align them with the first set of plywood gussets. 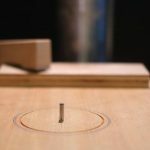 Because you pre-drilled the holes after cutting the gussets, you won’t have to worry about whether you used the same spacing and number of nails or screws that were on the first side. All of your trusses will look exactly alike, so your finished project looks fantastic. 13. If possible, use chalk to draw the outline of the finished truss so that you can use it as a template. This will speed up the production process. 14. Repeat steps 10-12 until all of your trusses are complete. Once the glue has dried for the appropriate amount of time, your trusses will be ready to install. Be sure to keep them in a dry, protected place until you are ready to move on with the next phase of your project.